Live access to dozens of project management reports to enhance study data visibility. Use Axiom’s dynamic Report Builder to quickly access study data to build your own reports. Choose from tables, listings, or graphs. Access your entire eCRF with drag and drop tools to create desired reports. Fusion ensures that all mandatory fields are completed by site personnel. You will never miss key data. Choose the features and modules that fit your study needs. Real-time notifications for all personnel, total user control through the Communications Portal. Track all study con meds. Directly link them to related AE/SAEs. Avoid double data entry. Powerlful business rules result in a smart, well designed eCRF to capture your study data. Live access to review, query and manage study data from any computer in the world and on any device. Help tools, tips, how-to videos, eCRF Study Guides and up to 24/7 Customer Care. Tools to assist coordinators and monitors with subjects’ pending visit scheduling. 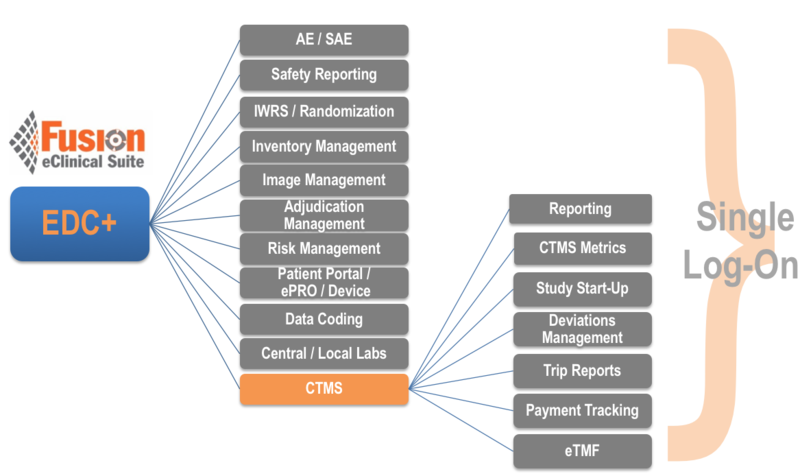 Integrated AE/SAE data capture, tracking, and reporting. Optional MedWatch and Fax Cover pages, Two-way querying process between the site and the sponsor’s Drug Safety group. Alerts and report submissions. Optional Device & Drug Supply Tracking Module manages all aspects of your study’s reconciliation/tracking. Completion randomization management and reporting controlled via a single platform. Inventory tasks are completely centralized and automated. Rapidly configured & deployed in weeks by Axiom personnel, first view of your database generally within in 5 to 10 days. 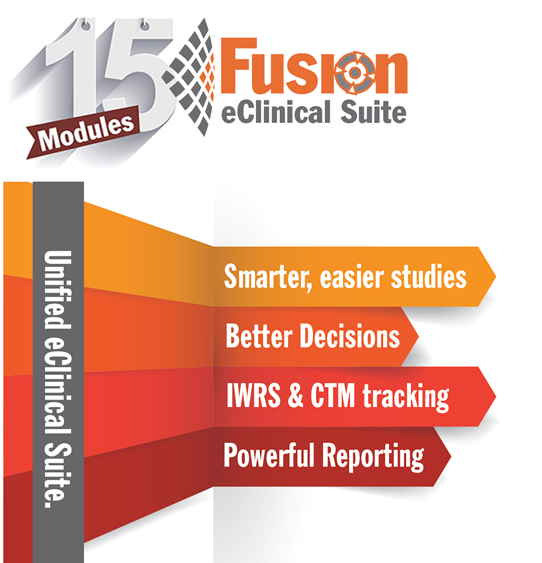 Access all of your study’s documents directly within Fusion. Optional Central Lab Module imports all of your data into a single seamless database. Outstanding site and PM/Monitoring Customer Care personnel available up to 24/7. Axiom Fusion is hosted in Axiom’s secure, triple redundant EDC Cloud. US northeast, west coast, EU, and Asian locations. Fully compliant, secure, robust EDC solutions. Unlimited database changes during study configuration allows you to focus on the study design. Axiom offers a post-study launch services credit (a portion of the full study cost) as a draw-down account for your use. This credit is used to address changes through the operational phase at no cost to you. Capture your ePro results using Axiom’s web, IVR or mobile device tools. Review real-time results and ensure subject compliance.